By now, you probably have learned about the big mistake at the Oscars a few weeks ago. Maybe you were watching it live, or, instead, like me, catching it the next morning on your phone or desktop. Wow, that was a big screw up, and to the outside eye, totally preventable, but we all know that it happens. Even in Hollywood. But, they fixed it, and while PricewaterhouseCoopers spent days trying to figure out how the presenter got the “wrong envelope” (as if there is a meaningful answer other than human error), the right movie got the award, and so life goes on. On my way to work, this got me thinking about how we, as employers, sometimes get it wrong and where that leaves us when a decision is challenged. Terminations, leave decisions, conclusions in investigations… Usually it is not as simple as giving the wrong envelope, like at the Oscars. More likely than not, we just do not have all of the facts. We try to make decisions soundly and efficiently, but key items sometimes get overlooked. That is business. From a risk prevention strategy, though, there are two keys points: The first is to prepare for that possibility. Is there anything else we as employers should consider when making the decision at hand? While this is not a one-size fits all approach, often, it makes sense, even when lowering the boom in a termination situation, to include ( in writing) a directive to the employee “ if you believe there is any other information we should consider, please let us know immediately.” I find this particularly helpful in an investigation situation or in a complicated employee medical leave case. In most situations, it shores up for us that there likely is not anything else out there that should have been considered or that we missed. If there is something more, and the employee does not mention it until litigation, even after we ask for it in the termination letter, then that usually becomes more his or her problem than ours. But, if there is something important, it usually is better to know now vs. later – particularly after spending a lot of time and money wrapped up with an EEOC Charge or lawsuit. That brings me to my second key point which is this: Fix it. If it turns out, like the Oscars, that there was a mistake, that we missed something that would change the ultimate outcome, then simply fix it. Imagine a situation where you have terminated an employee on leave for disappearing but it turns out the employee is actually at work unbeknownst to you? Or you uncover text messages central to an issue you have reviewed, only after you reach your conclusion? This stuff happens. Don’t be reluctant to fix it. I often hear, “how is that going to look?” to which I usually respond, “how is it going to look if we don’t fix it?” From a risk management standpoint, the key is to prepare for it and, in the event of a mistake, fix it. Sure, we can stand by our decision and sometimes even justify it, but from a risk prevention standpoint, in most situations, this becomes high risk business. Just like giving out the wrong envelope. For any questions, please contact Mary Anne Ackourey at [email protected]. In the wake of Yahoo’s disclosure of two massive data breaches last year, Yahoo and Verizon have finally confirmed that the search giant’s acquisition by Verizon will move forward – but at a steep price for Yahoo. Verizon will now pay $350 million less than its original offer. The acquisition, which was first announced in July 2016, has been stalled as the companies assess the impact of the two Yahoo data breaches. The first breach, disclosed in September 2016, affected around 500 million accounts, and the second, disclosed in December 2016, affected over 1 billion accounts. These breaches raised uncertainty as to whether Verizon would follow through with the acquisition. Verizon, however, announced this week that it will push ahead. According to Verizon Executive Vice President Marni Walden, “we have always believed this acquisition makes strategic sense.” The deal, now valued at $4.48 billion, is expected to close in the second quarter of 2017. But, Verizon executives also believe that breach-related costs will continue to mount. Accordingly, the revised acquisition terms call for the two companies to equally share any future legal costs resulting from the data breaches. Yahoo, however – which did not carry cybersecurity insurance – will be solely responsible for liabilities stemming from SEC investigations and shareholder lawsuits. The SEC is currently investigating whether the two breaches should have been disclosed sooner to the victims, and whether Yahoo violated securities laws by not providing breach-related documents to the agency. Further, according to an earnings report filed in November 2016, Yahoo faces 23 putative class-action lawsuits in U.S. federal and state courts, just for the September breach alone. This acquisition has become a cautionary tale about the long-term impact security breaches may have on businesses and big-business deals alike. 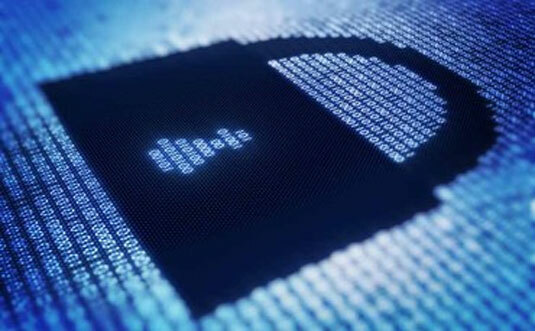 All of this underscores the importance of working with experienced legal counsel to properly respond to a data breach when it occurs and being proactive before a breach occurs to review your data security policies and practices, as well as your incident response procedure, to make sure you are well-positioned to protected against and respond to a data breach. Please contact FMG’s Data Security, Privacy, and Cyber Liability team to discuss further the steps you can take to protect yourself and your business. How Fine is the Line Between Medical Malpractice and Life in Prison? It was all over the major news networks and the print media. On Monday, February 21, 2017, a Dallas, Texas jury sentenced Dr. Christopher Duntsch, neurosurgeon, to life in prison for a “botched surgery.” While he was initially arrested on five counts of aggravated assault, the 13-day trial apparently focused on one 74-year old patient and the infliction of an injury that constituted a first-degree felony under the circumstances. The jury apparently had to find that Dr. Duntsch acted “intentionally, knowingly, recklessly, or with criminal negligence” in injuring an elderly person. In reading several articles on this story, I had to go back and make sure that I was not reading a case alleging medical negligence and punitive damages. The fact pattern was strikingly similar. The elderly patient at issue reportedly lost a significant amount of blood during the procedure and lost the full use of her legs. These are complications that are not uncommonly alleged in surgical medical negligence cases. The subsequent treating surgeon testified that he found implants placed in muscle instead of bone, a screw directly placed into her spinal cavity and severed nerves. Testimony that one would expect from an expert opinion on the standard of care and elements of causation. He was quoted as saying that the prior surgery was “as egregious as you can image.” A motion in limine would hopefully keep this particular opinion out of a civil trial. Obviously there are major differences between criminal and civil law and the evidence to prove each. However, when you read of medical providers being convicted and imprisoned for fact patterns that resemble those that we deal with in the medical negligence claims, you start to wonder. Remember Conrad Murray, Michael Jackson’s physician, who was convicted of involuntary manslaughter for exercising his medical judgment? I recall the media reports in that case sounded more like medical negligence rather than a criminal case. These are examples of exceptional cases with extenuating circumstances. A civil lawsuit leading to monetary recovery is the typical scenario and then the case ends. However, in the right circumstances, a jury could find that the same evidence presented to prove negligence, gross negligence and/or punitive liability in the civil setting could also lead to jail time in a criminal trial. For any questions, please contact Shaun Daugherty at [email protected]. This hands-off approach of the Courts was, once again, the basis of the Third Circuit’s recent opinion in NLRB v. Sub Acute Rehabilitation Center, wherein the Court upheld the NLRB’s determination that a group of Licensed Practical Nurses were not supervisors, and therefore entitled to collective bargaining rights under the labor act. However, decisions like the Third Circuit’s may soon become antiquated. Attacks on the “great deference” given to administrative agencies are coming from all three political fronts: Executive, Legislative, and Judiciary. On the Executive front, President Trump has stated his belief that regulations can be cut “by 75%, maybe more.” The President has supported his talk with action. On January 20, 2017, he signed an Executive Order requiring that any proposed department or agency regulation shall also identify at least two existing regulations to be repealed. In other words, if you want to pass one law, then you must get rid of two. On the Legislative front, the House has proposed the Regulatory Accountability Act of 2017. Among other things, the bill calls for abolishing the Chevron “deference” standard of review, and instead authorizes the Courts to have a de novo review of administrative agency actions. In other words, Courts would be free to interpret the law on their own with complete disregard for an administrative agency’s interpretations. Mr. Gorsuch’s opinion in 2016 may prove to be prophetic for 2017. In the year’s first two months, the 180,000 page “behemoth” is now facing attacks from all three political fronts. For any questions, please contact Chris Curci at [email protected]. Andy Puzder, President Trump’s nominee for Secretary of Labor, has withdrawn his name from consideration after being plagued by criticism since his nomination. Union leaders and prominent Democrats have been among his staunchest critics. Puzder’s decision to step down comes a day before his Senate confirmation hearing was set to begin. Just hours before the announcement of his withdrawal, media outlets had begun reporting that Republican officials advised the White House that Puzder lacked the votes needed for confirmation because at least four GOP senators intended to break ranks and vote against him. It remains to be seen who President Trump will nominate in his place. For any questions, please contact Paul Derrick at [email protected].